Carter Rode threw 3 touchdown passes and ran in another but Louisville was edged by Alliance 30-24. 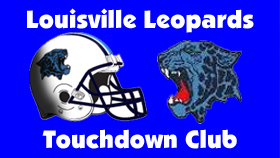 Elijah Wilkes also made 2 touchdown grabs and Dominic Mongiardo had the other LHS score. Collin Chambers scored a game-high 19 points to lead 2nd Seed Louisville to a 45-34 opening round win against 7th Seed Salem. Carter Rode also scored 13 and Cole White added 8.